Start impressing your audience with a “WOW” company presentation made with Omnitapps Composer on your own laptop. 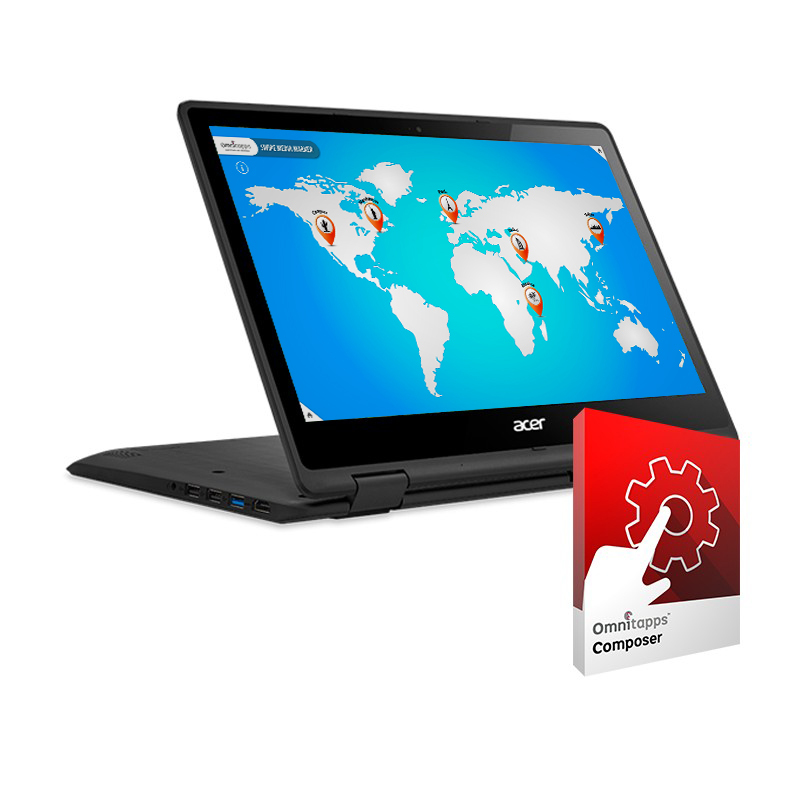 Lenovo Yoga all-in-one laptop with pre-installed Omnitapps Composer license and an impressive configuration we make for you, gives you a complete solution to present your company in an interactive way on your own laptop. When you add interactivity your customers will have more focus and will remember your presentation. The Omnitapps Composer license is already installed on the laptop. All your products and services are visible on one device, including additional information like videos and photos, customer feedback, sales information, etc. The interface makes the PC a social device that brings people together around a single screen to see your great multi-touch presentation. Connecting an additional screen will give you the possibility to create more focus on a topic. The possibilities of the software are endless. The laptop can be used in different angles. It’s also a perfect solution to have configurations, which run on large format touch screens, available on a smaller screen. We offer the Lenovo Yoga 510 all-in-one laptop including Omnitapps Composer. This is a complete deal, also including software configuration and in-house training (also available online). Omnitapps software is developed in a way that everyone can make a configuration. If you wish, we can make the configuration for you as well.